Located in the heart of Victoria Park, along Albany Highway is The Precinct. I have always wanted to try The Precinct and recently looking at photos from Instagram, I decided to take an opportunity to head to The Precinct with Jess (@keepcalmandjusteat) for our brunch date. Jess and I decided to share two dishes. We had the corn bread, oat crumbed fried chicken, slow egg and sumac yoghurt. Slightly crusty on the outside and crumbly, the corn bread had a slight sweetness to it. 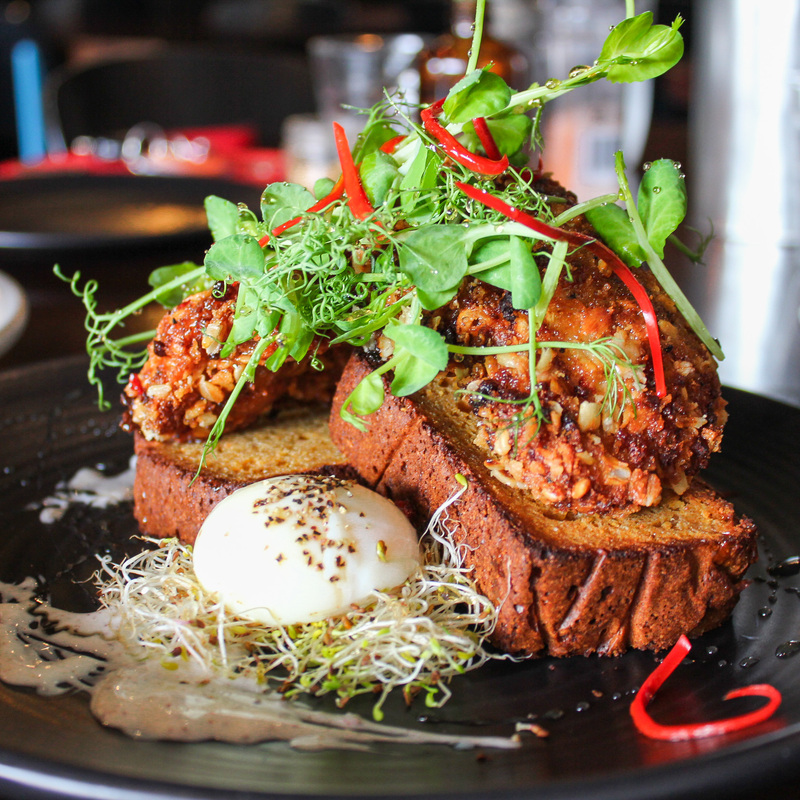 The oat crumbed fried chicken was crispy and tender complementing well with the subtle flavors of the sumac yoghurt. Overall, it’s a hearty, flavorsome dish. Compared to the oat crumbed fried chicken with corn bread, the fluffy pandan pancakes were lighter in texture with a strong pandan flavour. The peaches and passionfruit gives the pancakes a fresh and refreshing flavour. 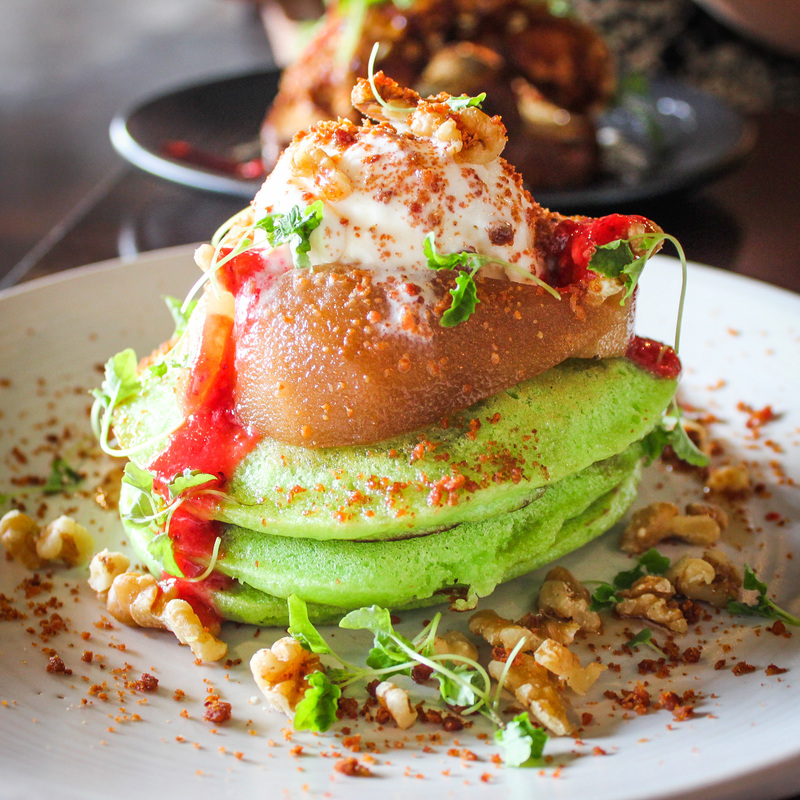 Topped with the coconut and white chocolate ice cream, it was the perfect combination to the pandan pancakes. I don’t know about you but for me, pandan and coconut together is a matchmake in heaven. We were both very satisfied and were very full after indulging in two delectable breakfast dishes from The Precinct. Yes, I will definitely be back to The Precinct again and would love to try their dinner menu because I already had my eye on The Precinct’s desserts. The views expressed are entirely the writer’s own. Why are Take me to foodie heaven’s posts so positive? Because I love to share and spread the word about good food. If the experience overall is bad, I will not blog about it because criticism is not my middle name.